After five updates of Google Panda consistently being rolled out in the United States, the international scene gets a taste of Panda. Just this August 12, Google announced on its blog that they have officially rolled out Google Panda 2.4 to most languages except Japanese, Chinese, and Korean. This is something SEO resellers should prepare for. 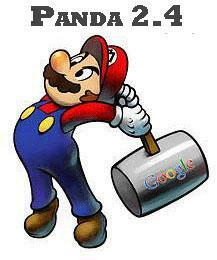 This is Google Panda’s first update on international shores. It involves a few minor changes to the English version but should not cause any significant impact. Across the world, webmasters are reporting a loss in traffic since they were not hit by the previous roll out of Google Panda. Google’s blog gave some tips and guidance on how they search for high quality sites. There are many ways to recover from being affected by Panda but results aren’t seen overnight. Removing your low quality content all together or putting them in a separate sub-domain is just some of the techniques. Asking yourself questions and answering them objectively about your website can help create strategies for the improvement of your website. If you are looking for companies reselling SEO products, ensure the quality of their services. Look for a company, like SEOReseller.com, with SEO reseller packages fit for any business’ needs adhering to all quality guidelines of Google. SEOReseller.com offers white label SEO solutions from start to finish. Learn more about their methodology, delivery, and workflow by visiting their website at www.seoreseller.com today!